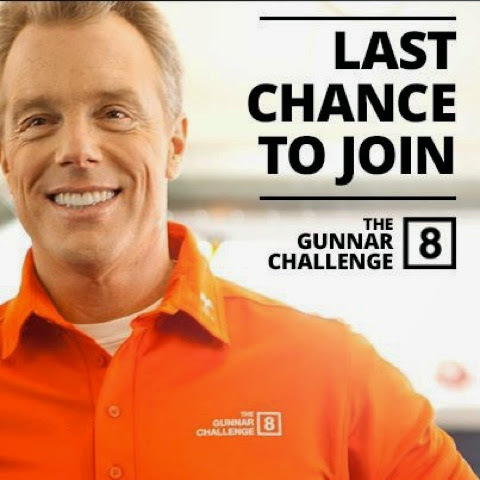 Have you ever heard of the Gunnar Challenge? It's an 8 week challenge and I will be participating. I desperately need some sort of incentive and push right now. I hope this is it. I was able to look over the site and tools earlier this week and I think I will like it. But I won't know everything until the challenge starts on Monday. But there is a meal plan and exercise plan. And lots of support. This is a celebrity trainer with some high profile clients (the Kardashians!!!!). I mean, he has to be good, right???? I need a kick start. I need to get back to where I was before the holidays. I'm ready. You're always "ready" with "no excuses". Now it's time to take action. This might be just what you need. It is great to see your progress. I have not read your blog for some time and you look fabulous! Great job staying motivated and continuing to work hard toward your goals. Good Luck! I love a good challenge. It helps to keep things interesting.